the largest Woodlawn youth event of the year, is just around the corner! Just ask anyone what it’s like and you won’t want to miss this one! This year, well over 250 students and adult sponsors will be part of this fantastic weekend at HEB Camp, just north of Leakey, Texas! 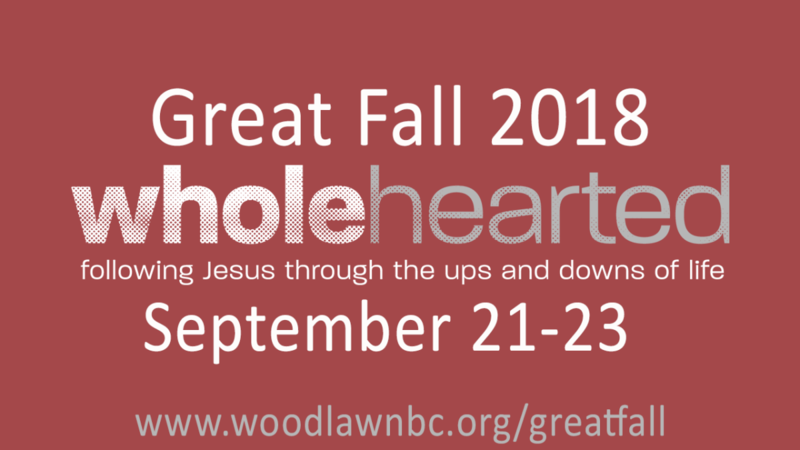 Mark September 21-23 on your family’s calendar, do your chores, homework & projects ahead of time, take time off from work, and pack your bags for one of the best weekends of your life! It’s time for you and your friends to experience Great Fall 2018! On Friday, when we arrive at Echo Valley, we’ll move into the cabins. Once you’ve unloaded your stuff, it’s snack food in the dining hall and a fun rally where you’ll meet Mikey Osborne & Katie Kresge and band. Saturday morning is filled with a fun rally, personal worship time, and morning worship. After lunch, Saturday afternoon has organized recreation, a crazy relay, tournaments and free time (including the waterfront)! After a big supper, it’s evening worship and a fun time together to close out the day. On Sunday morning, we enjoy another morning at HEB Camp. Following lunch, we begin the journey back to Austin arriving at the church campus by 4:30 pm. Check-in begins at 5:45 pm on Friday, September 21. After supper (included in cost), we will leave on chartered 15-passenger vans by 6:15 pm for HEB Camp. A bus will leave Woodlawn at 6:00 am (loading at 5:45 am) on September 22. This transportation is only for those involved in drill team, band, football, etc. on Friday night. If you will be involved in one of these groups and will need Saturday transportation, be sure to mark that on your sign-up form. On or before September 9, pay a $35 non-refundable deposit with $40 balance due September 21 or pay $75 total. After September 9, pay a $35 non-refundable deposit with $65 balance due September 21 or pay $100 total. Payments may be made online, in cash, or by check made payable to Woodlawn Baptist Church. $65 per participant for 2 members of the same immediate family if $35 non-refundable deposit per person paid by September 9. Cost increases to $100 per person after September 9. $195 maximum for 3 or more members of the same immediate family if $35 non-refundable deposit per person paid by September 9; $100 per person after September 9. Complete your registration by clicking the link below. Turn in your 2018/2019 Permission/Medical Release Form.